Early childhood education can do wonders for your child. It can boost their self-confidence, increase their independence, train the brain to learn new concepts more easily, increase socialization skills, improve cooperation levels, instill a sense of what is and isn’t appropriate behavior, and so much more. A good preschool curriculum will feed your child’s natural thirst for knowledge while boosting confidence and fostering growth in many different areas. 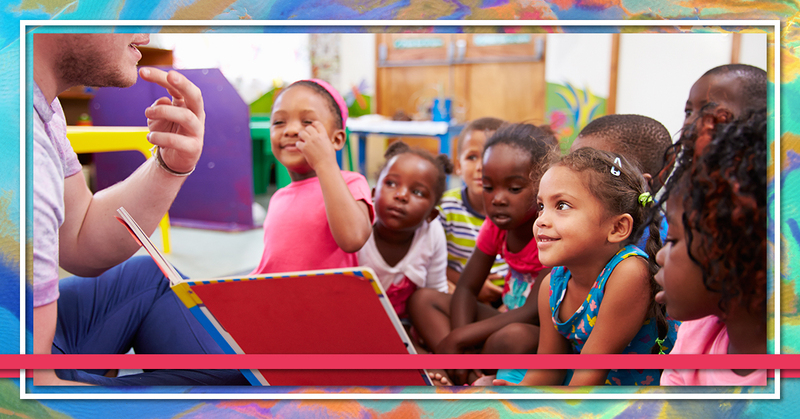 Keep reading to see what elements you should see in your child’s preschool curriculum. Even at the age of three or four, children are capable of learning a great deal while acquiring academic skills that will serve them well throughout their school years. Academic basics in reading, writing, math, and more can (and should) be covered at these ages. Spelling simple words, doing basic arithmetic problems, and reading at an age-appropriate level are some of the skills your child can acquire during their preschool years. Music enhances learning, and children naturally learn new things quickly when the right musical approach is used. Young children like to learn and sing songs, as well as try out simple instruments. Preschool musical opportunities may involve singing as a group, listening to music during play time, or acquiring academic skills by memorizing songs that explain writing, math, science, or health concepts. The class may even produce a short, age-relevant musical play to share with other preschoolers in the facility, or with parents and relatives after school. Music in one form or another is essential! Artistic pursuits tap into a child’s creativity, providing an excellent outlet for self-expression, self-discovery, and manual dexterity. Whether a child is using a brush to add different colors and textures to a canvas, or building a sculpture with everything from snapping blocks to clay-type materials, there is something very empowering that goes on when creating art. The exact medium used doesn’t really matter, so long as the child is given the space and time to create a work they can be proud of. Art engages all the senses. It stimulates the brain and taps into the creativity that’s inherent in all of us. Making art involves using one’s hands, which can help improve fine motor skills and dexterity. What’s more, being engaged in an art project can be extremely relaxing. Art can improve a child’s mood, concentration, focus, behavior, and other areas. Make sure the preschool curriculum of your choice includes plenty of opportunities to create art! Children learn so much when they play in an unstructured setting. Playtime must be supervised to ensure the children are getting along with each other, and to stop any bullying or other negative behaviors immediately before they escalate. However, supervised playtime can remain unstructured. This gives young children the freedom to invent games, interact with different groups of children, and practice using their imaginations. Even if much of the preschool day is structured, it’s important that unstructured playtime does have a place in the curriculum. In the classroom, no child should ever be overlooked. That’s why it’s important that there are moments of teacher-guided learning. The teacher (or teachers) need to spend group time as well as one-on-one time with every student in the classroom. Teacher-guided learning fosters a child’s ability to follow instructions, to be a good listener, to cooperate with others, and much more. If a teacher is leading a lesson at the front of the classroom, assistants can be working with any children who need assistance, and checking to make sure every child is engaged and has the chance to participate. Health, Hygiene, Science, and More! At the preschool level, learning needs to be fun (of course, it can be argued that learning should be fun at every age!). Lessons need to be short, age-appropriate, and to the point. With these parameters in place, the sky’s the limit with regards to lesson ideas! Young children can start to learn about the world around them, including animals, plants, rocks, planets, light, clouds, rain, and just about anything. These science lessons are tailored to their level of understanding, and often are interactive to bring them to life. 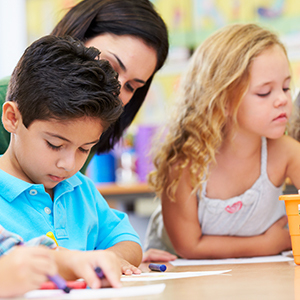 Preschoolers can learn the basics of hygiene, healthy habits, good nutrition, and other important areas of their lives in the classroom setting. It’s very important that your child is safe and feels safe in the preschool classroom. A set of adults who have received ample training in early education, know how to interact with children in a caring manner, and work together to keep the children safe throughout the day is an important element of every preschool curriculum. When you tour a facility, pay attention to how the staff interacts with the children. This is important. At Rainbow Chimes, we are dedicated to serving young children and their parents through quality early education experiences. Whether it’s a daycare setting, a preschool classroom, all-day kindergarten, or afterschool enrichment, we believe children can learn best when they feel safe and they’re presented with a variety of opportunities to learn. We regularly incorporate music, art, academics, science, health, and fun into our curriculum. Our goal is to help young children grow in confidence, independence, and skills, and we’re here to help them on their journey! Ready to tour our facility? Get in touch with us, and we’ll help you schedule a tour time. We are looking forward to meeting you and answering your questions! Get in touch with Rainbow Chimes today.